7 But awhatever gain I had, bI counted as loss for the sake of Christ. 8 Indeed, I count everything as loss because of cthe surpassing worth of dknowing Christ Jesus my Lord. For his sake I ehave suffered the loss of all things and count them as rubbish, in order that I may gain Christ 9 and be found in him, not having fa righteousness of my own that comes from the law, but gthat which comes through faith in Christ, the righteousness from God that depends on faith— 10 hthat I may know him and ithe power of his resurrection, and jmay share his sufferings, becoming like him in his death, 11 that by any means possible I may kattain the resurrection from the dead. Straining Toward the Goal 12 Not that I have already lobtained this or mam already perfect, but I press on to make it my own, because Christ Jesus has made me his own. 13 Brothers, I do not consider that I have made it my own. 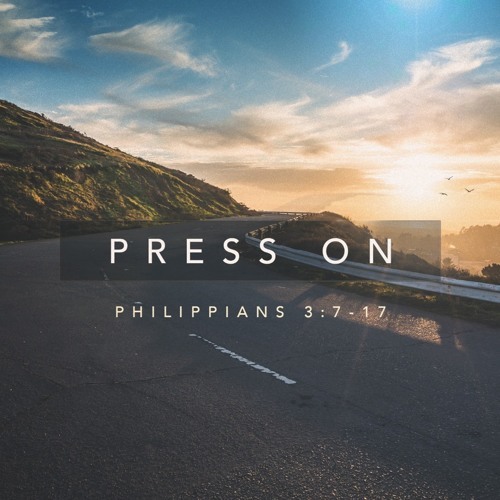 But one thing I do: nforgetting what lies behind and straining forward to what lies ahead, 14 I press on toward the goal for othe prize of the upward pcall of God in Christ Jesus. 15 Let those of us who are qmature think this way, and if in anything ryou think otherwise, sGod will reveal that also to you. 16 Only tlet us hold true to what we have attained. 17 Brothers, ujoin in imitating me, and keep your eyes on those who walk vaccording to the example you have in us.